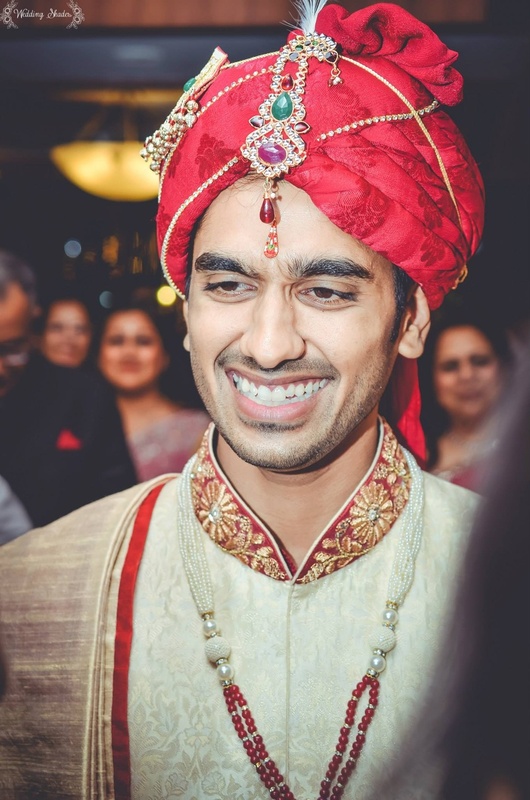 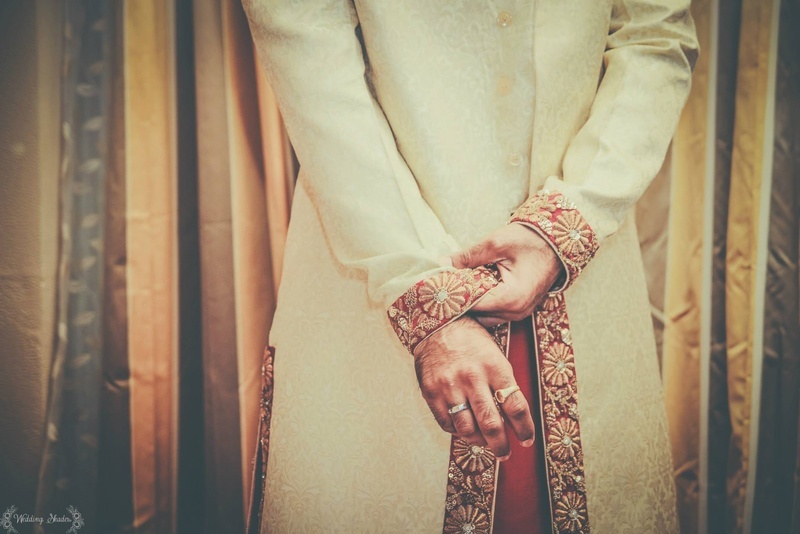 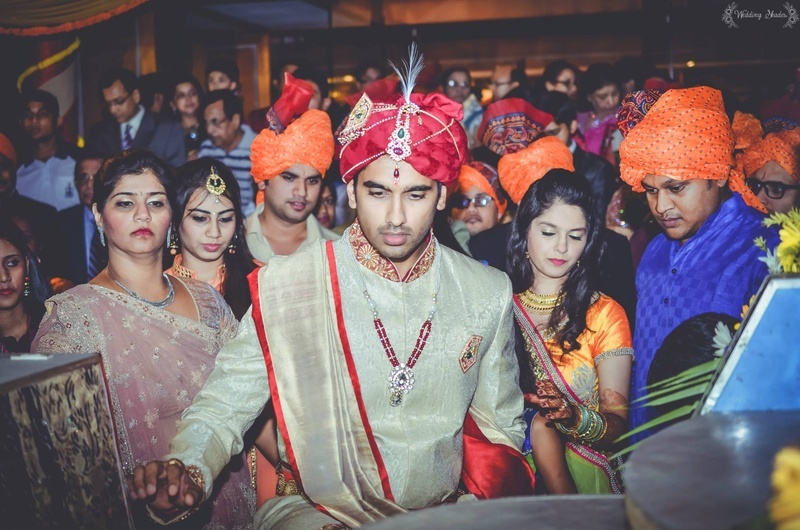 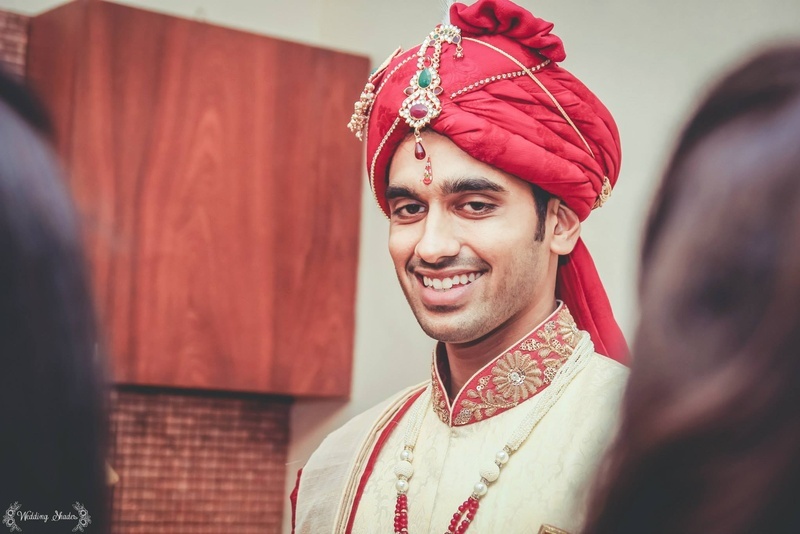 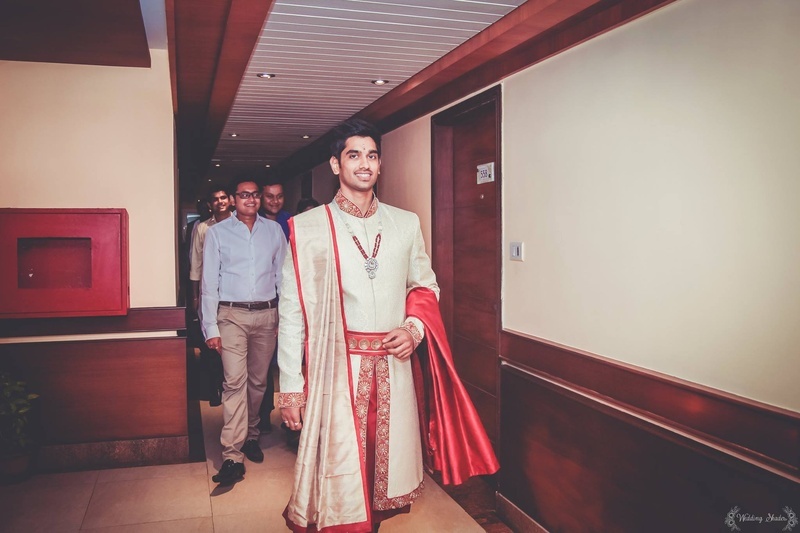 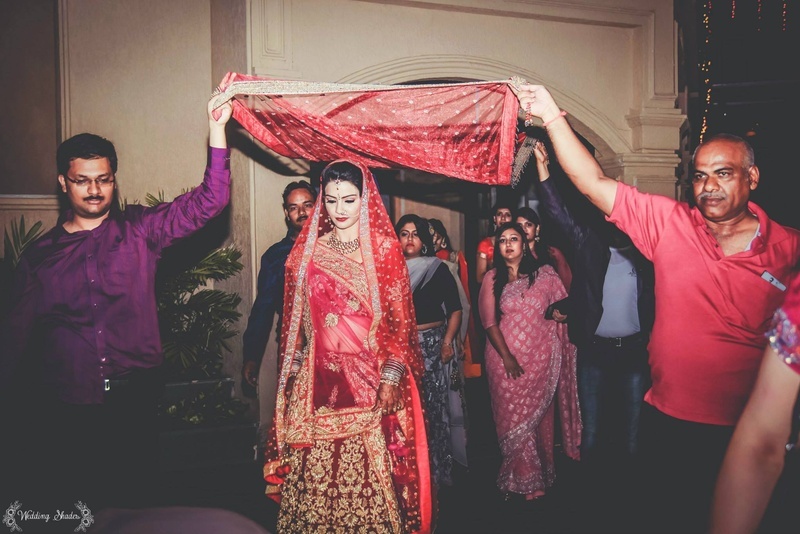 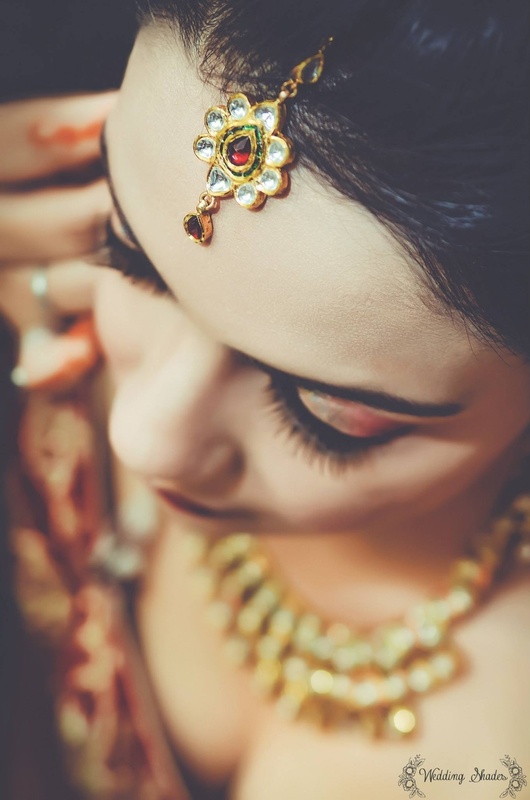 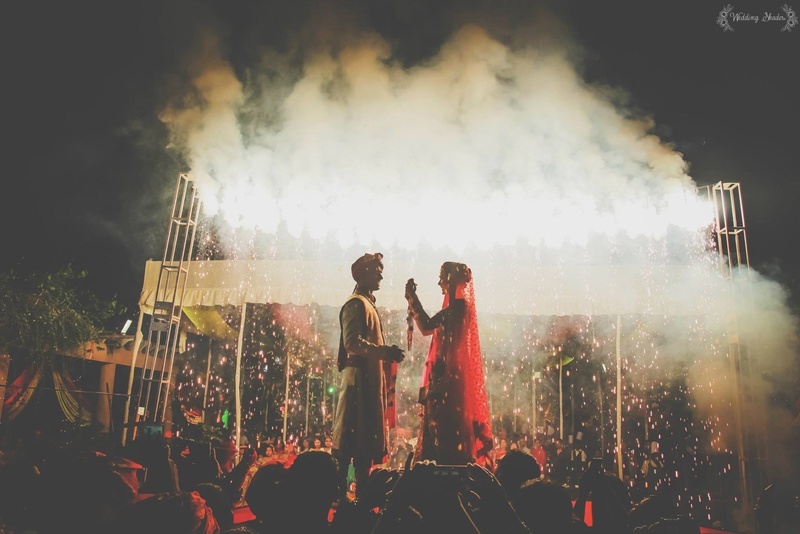 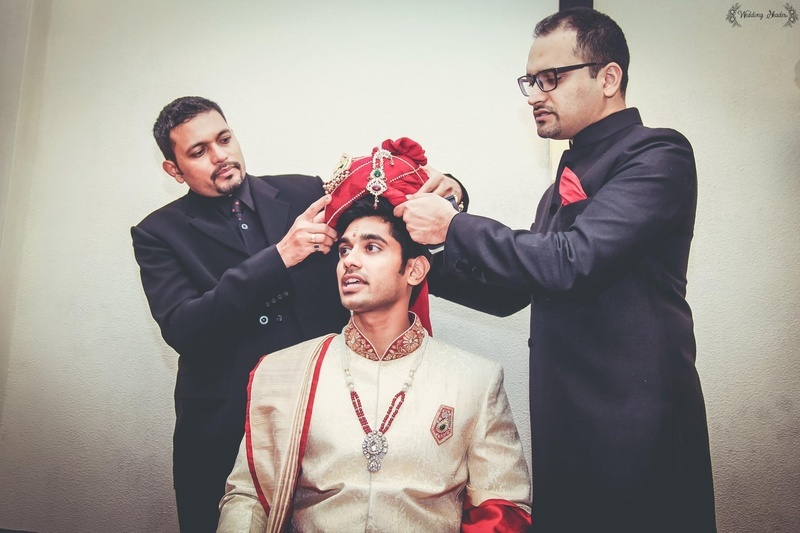 When new age romance meets traditional Indian marriages, what you get is one grand wedding that speaks of ethnicity, classy and style – much like Binita and Umang’s wedding ceremony that had stunning outfits, exquisite jewellery and lots of naach-gaana. 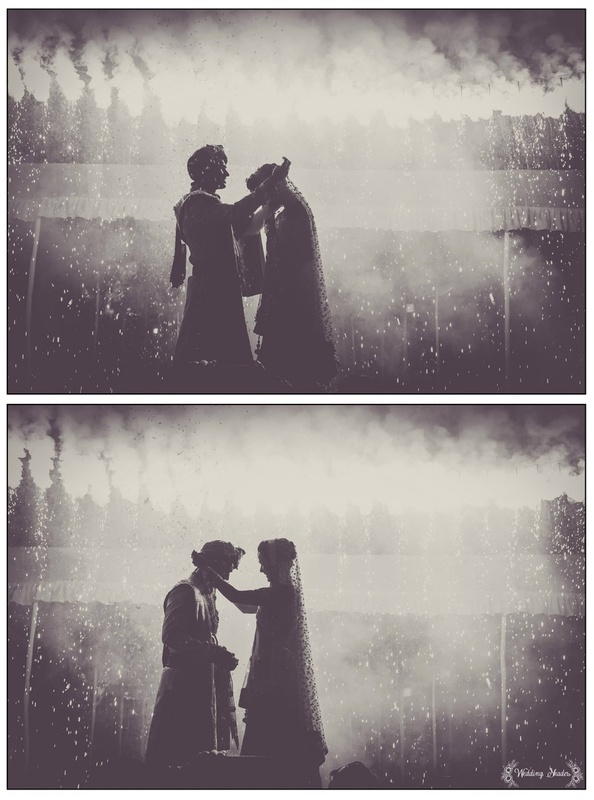 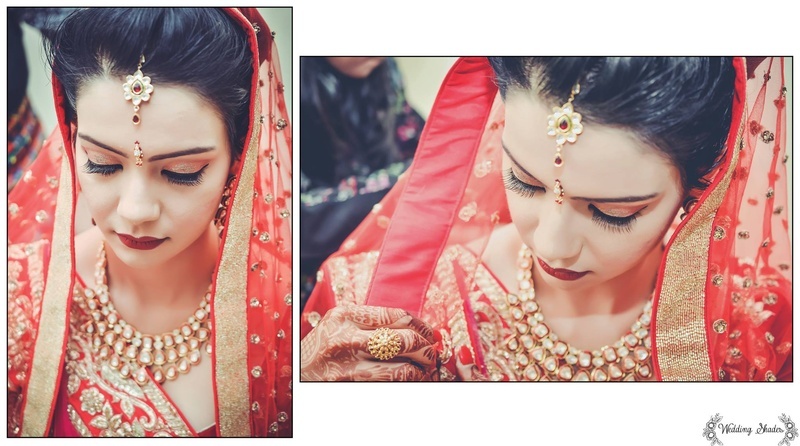 The talented team at Wedding Shades Photography captured their entire wedding album in a vintage tone. 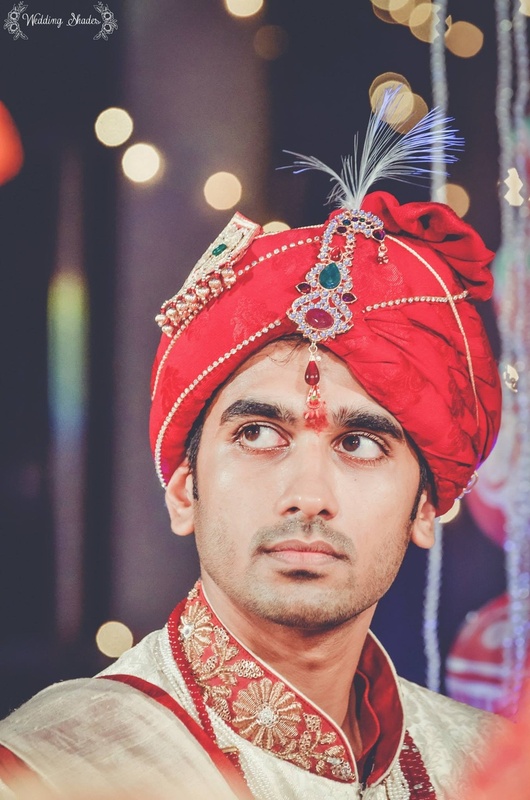 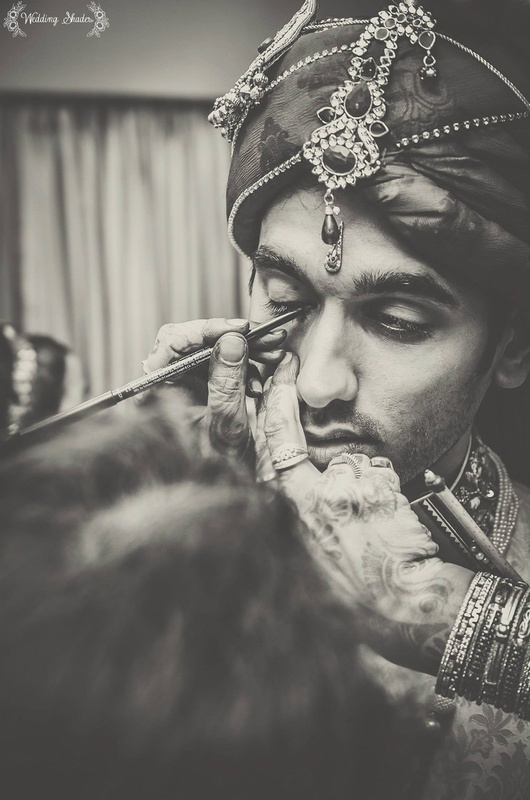 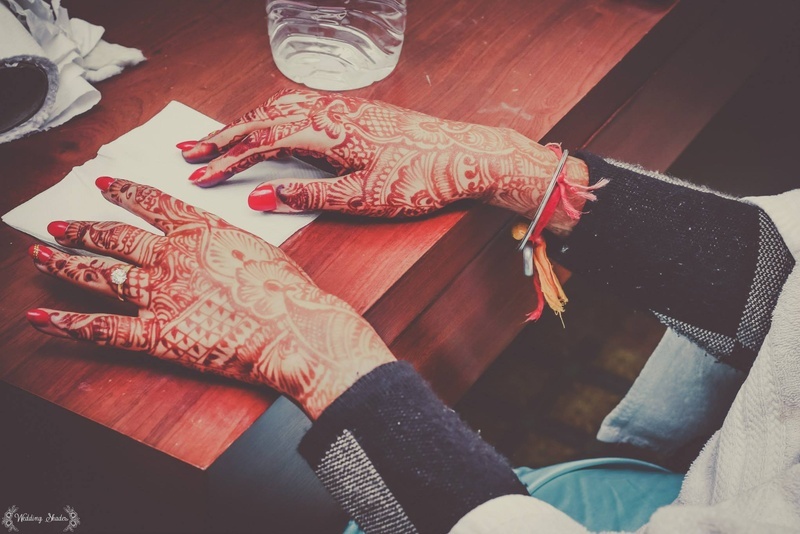 An unusual filter to use for a traditional hindu marriage, but with this gorgeous couple and their excellent attires, it proved to be a perfect fit. 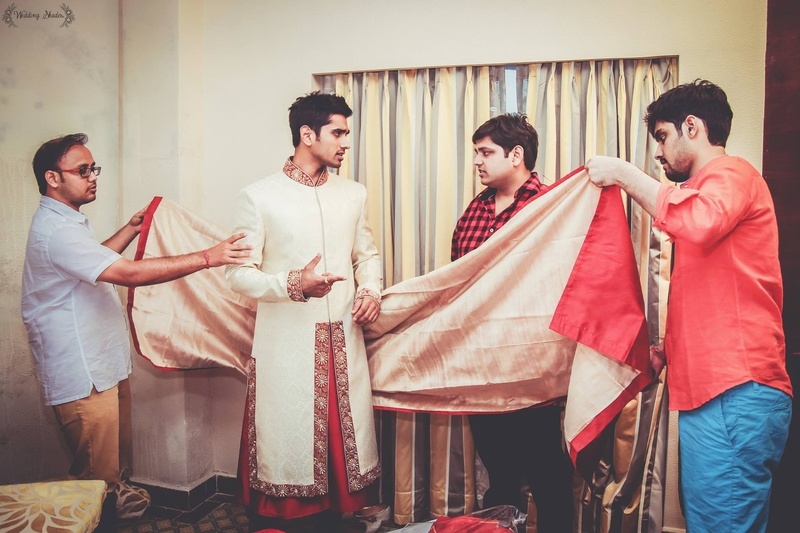 Binita and Umang both wore matching outfits in hues of red and white. 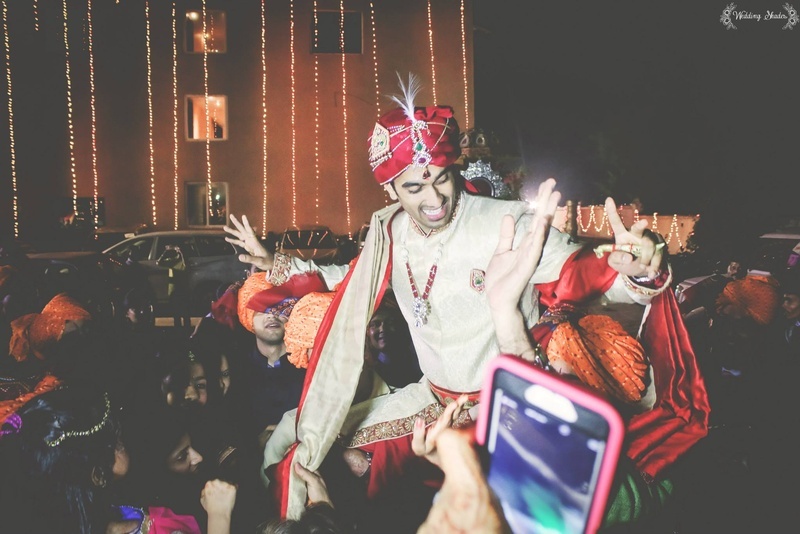 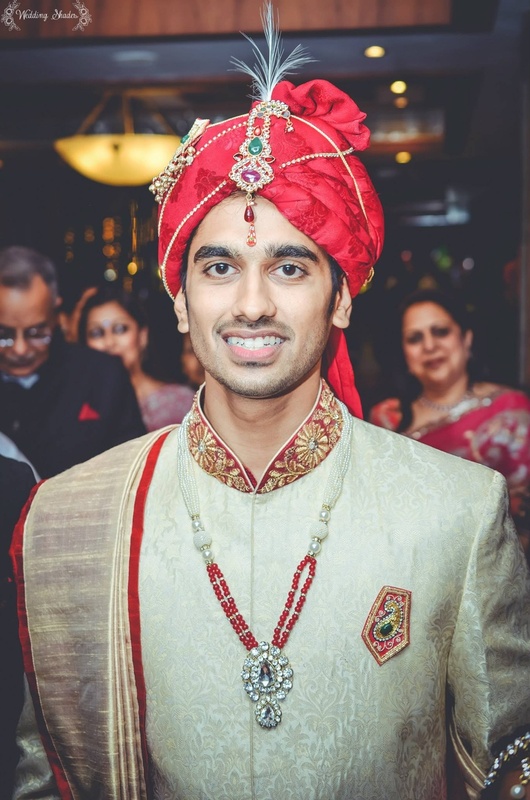 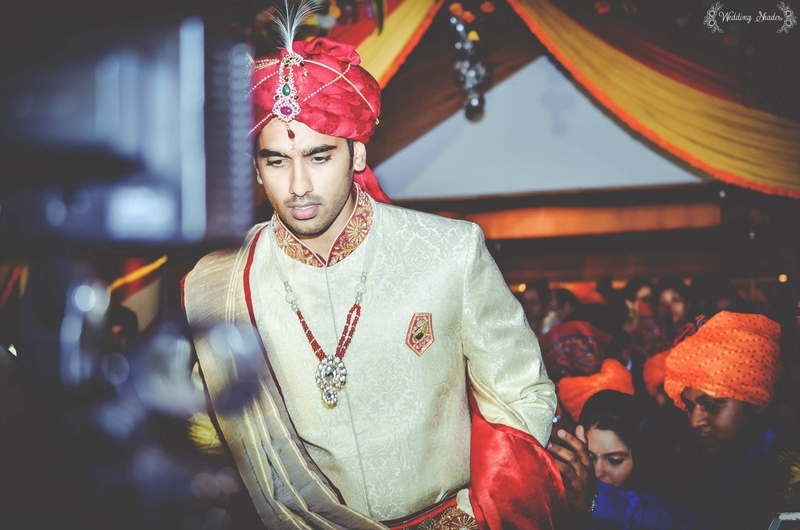 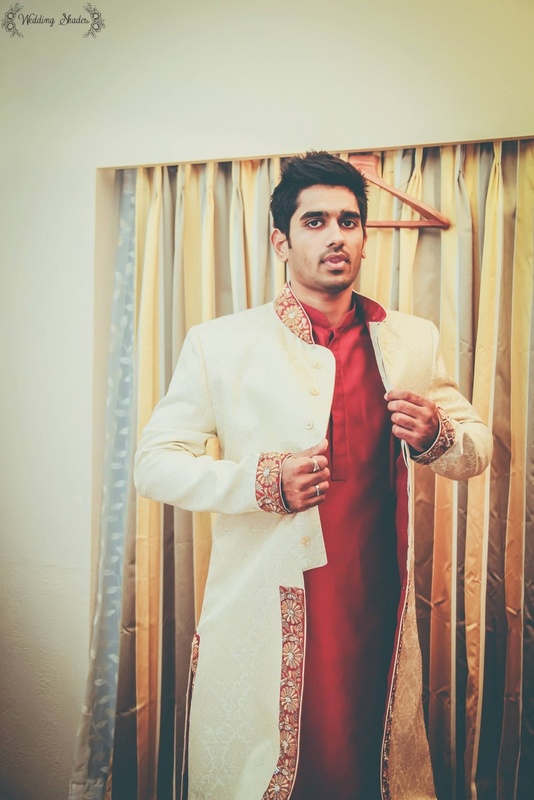 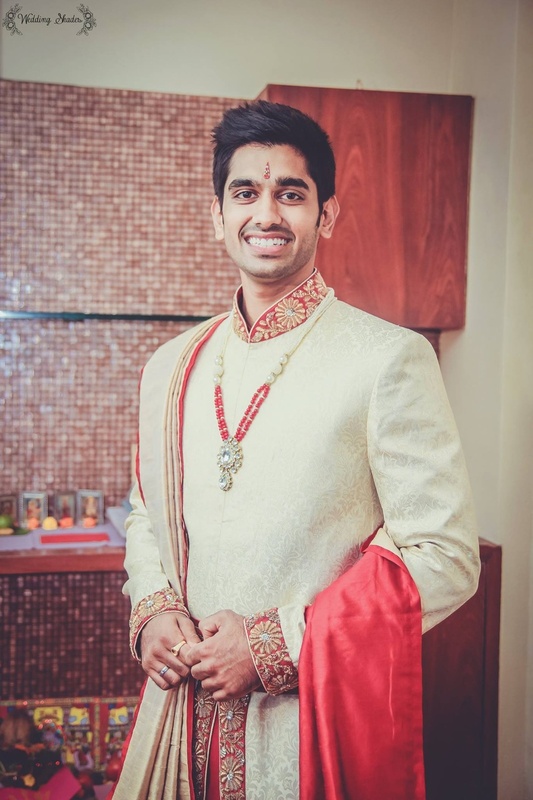 Umang’s sherwani had a pattern we’d never seen before! 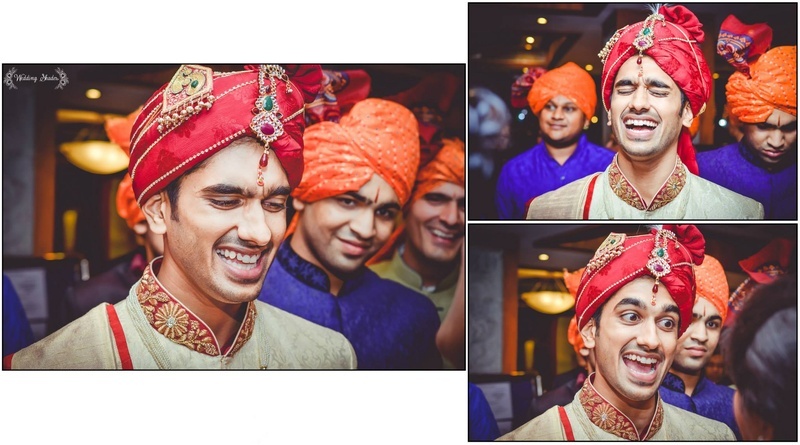 Soon-to-be Grooms, take note! 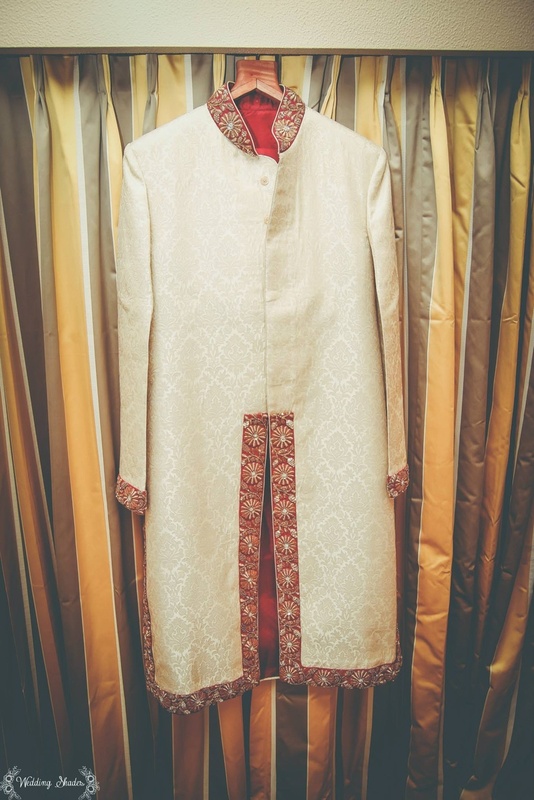 He donned a jacket styled sherwani that had an embellished waistbelt or as us desis call it, a kamarbandh and paired this with a red and off-white raw silk dushala. 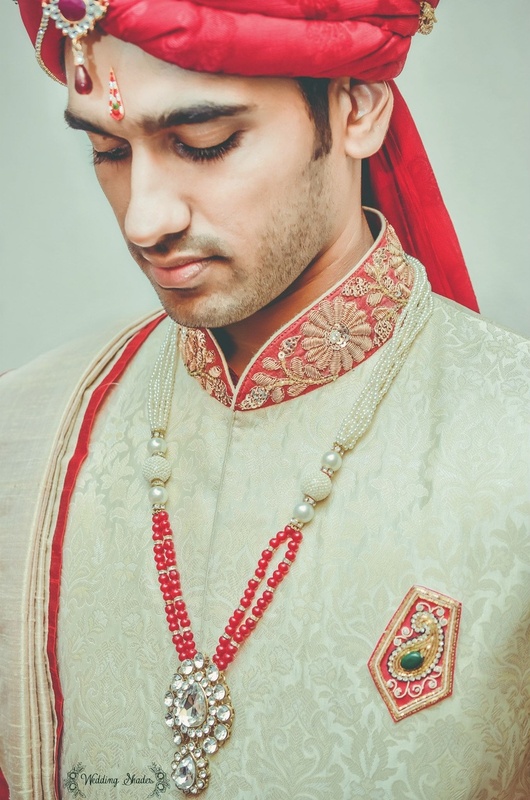 All of this paired with an embellished kalgi topped safa and super stylish mojiris, Umang looked like something straight out of a Sanjay Leela Bhansali movie, he looked like true royalty. 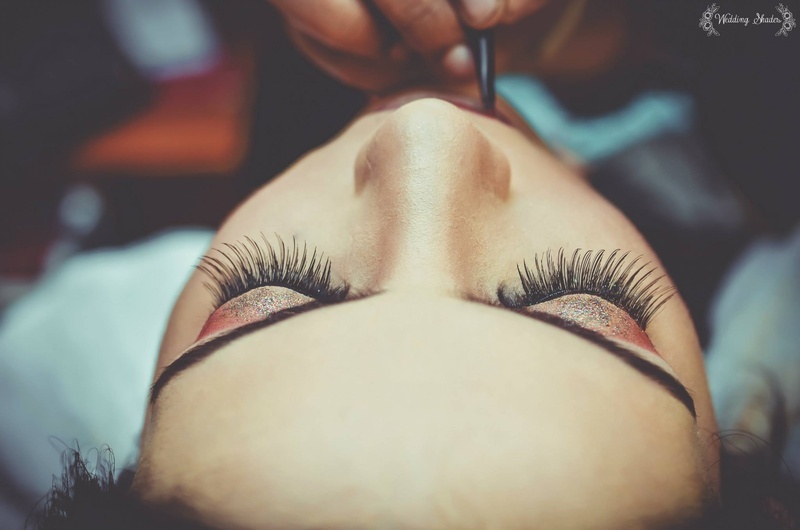 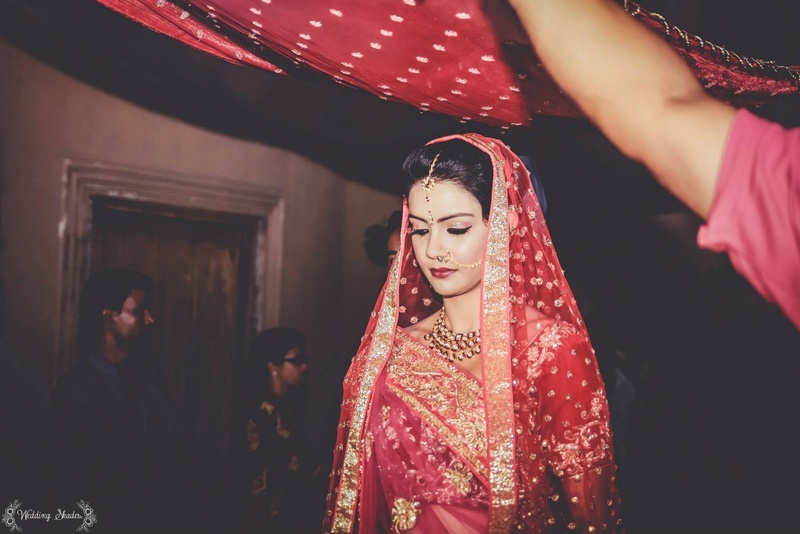 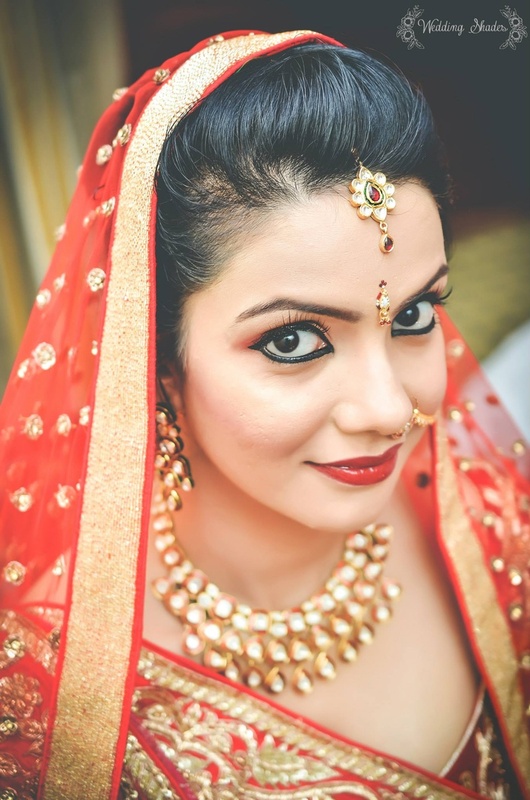 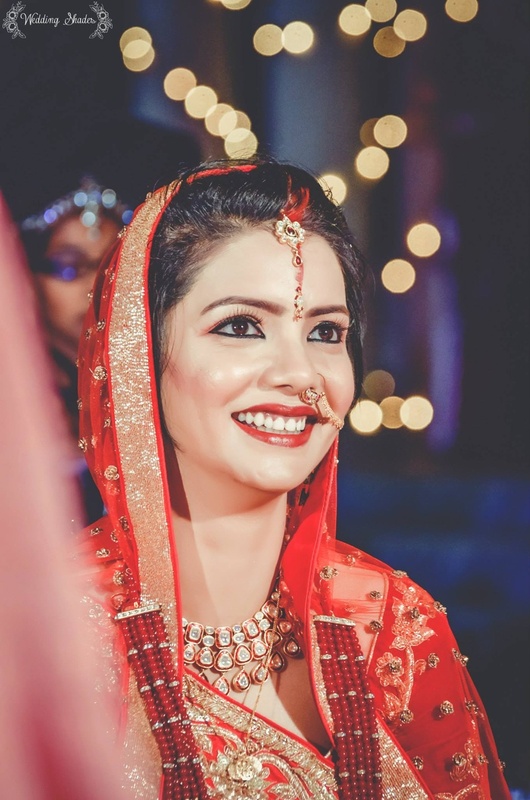 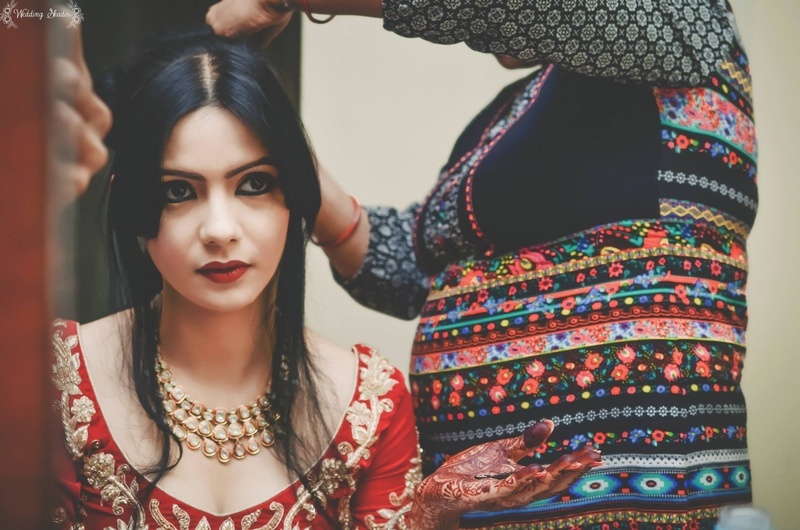 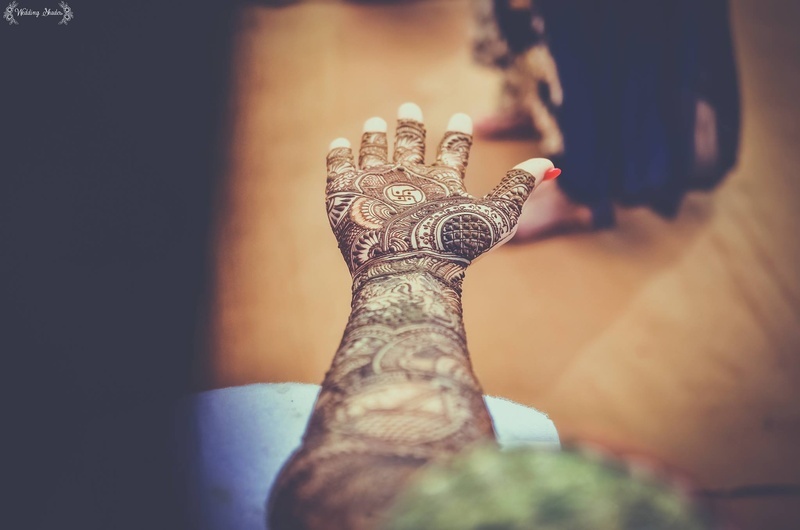 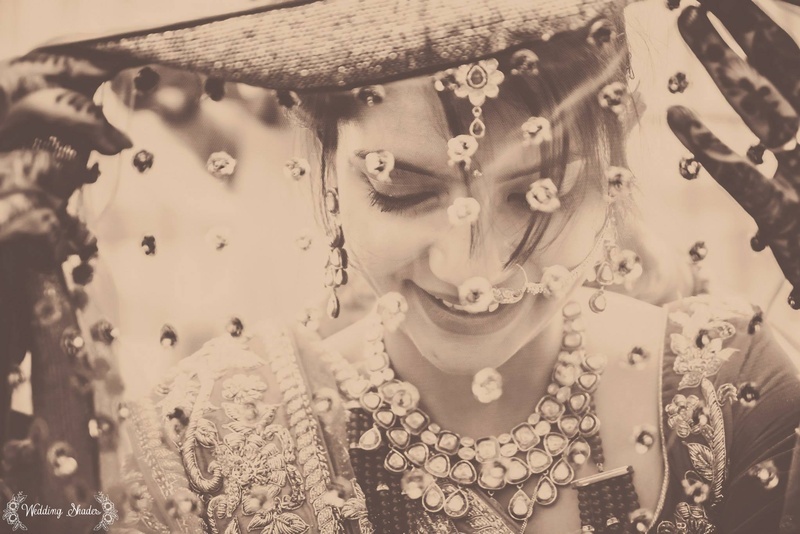 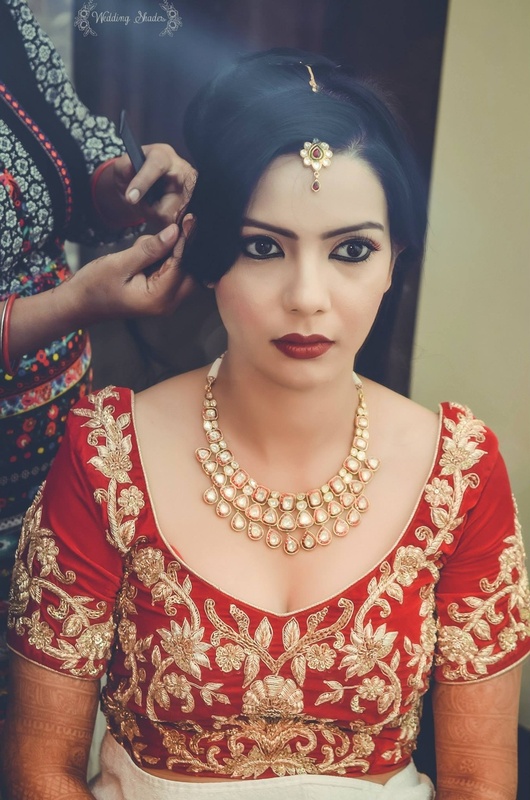 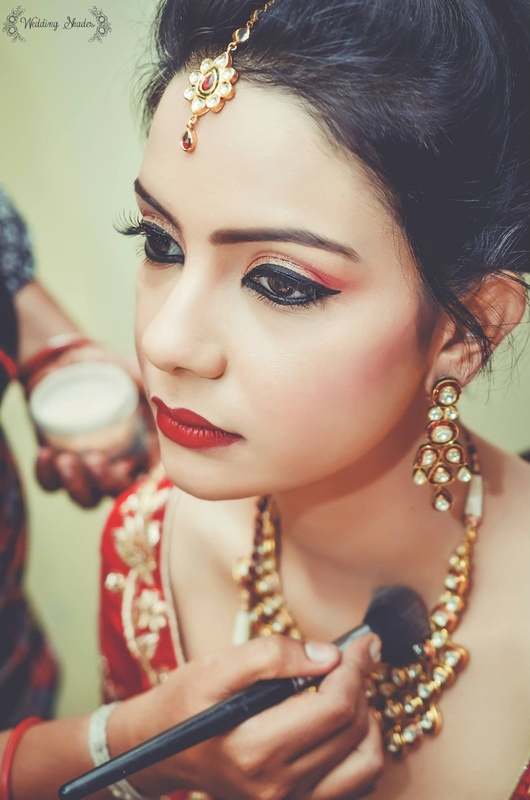 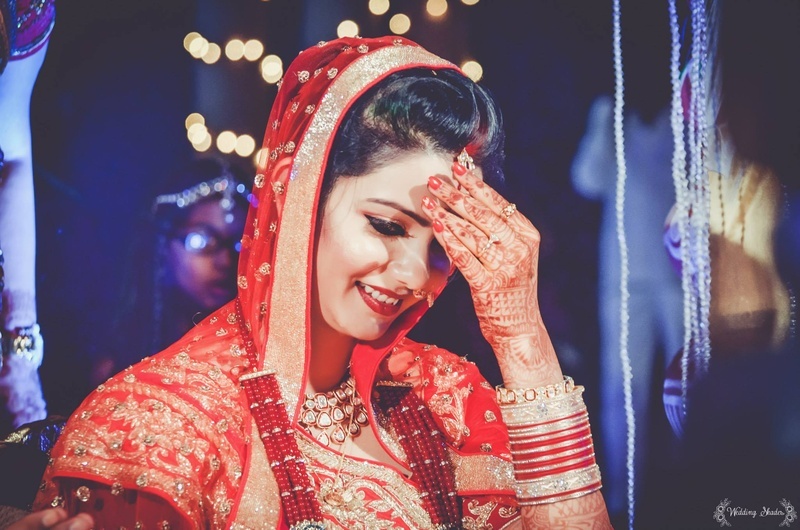 And to call the bride gorgeous would be an understatement – all we can say is that Binita was the true essence of Indian beauty and modern style combined. 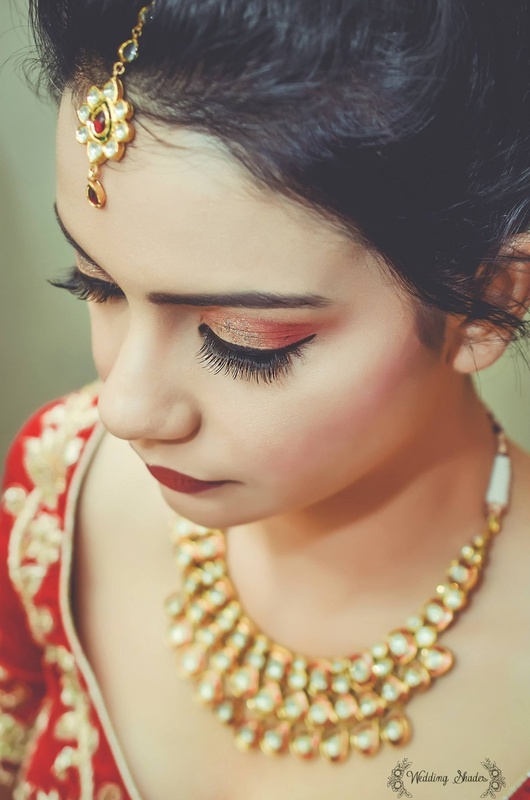 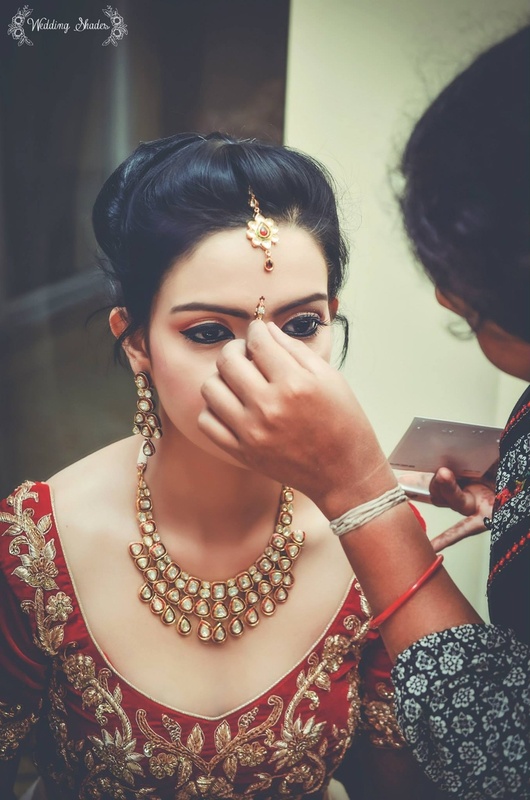 Those well defind Kohl eyes, the ethnic polki jewellery paired with her traditional red zardozi lehenga, she exuded that royal vibe perfectly, too. 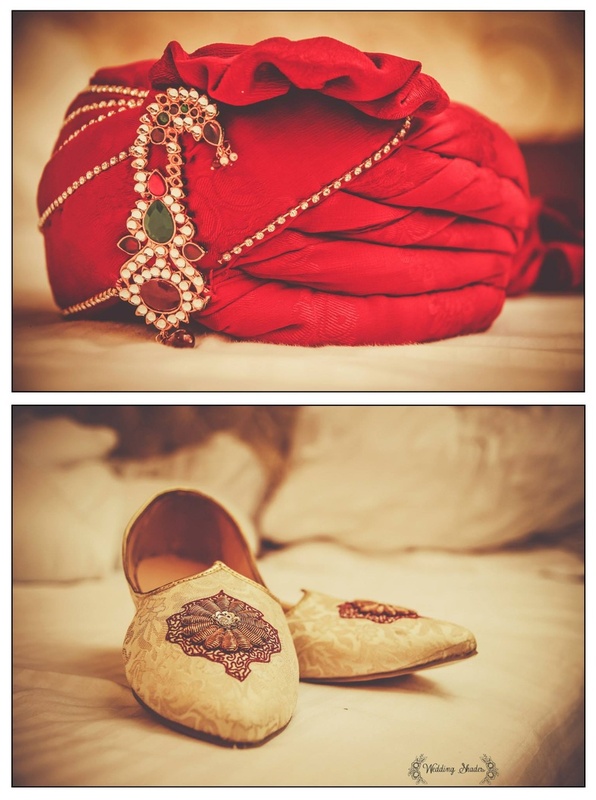 If you’re looking to do your wedding the traditional way, yet keeping it stylish and special, this wedding album serves as perfect inspiration for just that!